The term Shangri-La was coined by British author James Hilton in his novel “Lost Horizon,” referring to a mythical paradise in the Himalayas. Nobutaro Hara, however, found his utopia on a railway line. Hara is famous among model-train enthusiasts for being a supreme collector. At his private house, which he has dubbed Shangri-La Train Museum, he has more than 6,000 train-related items, 440 hours of film and hundreds of thousands of pictures. To date, this collection has only ever been shown on an appointment basis, but this summer Hara will bring his toys out for the public. 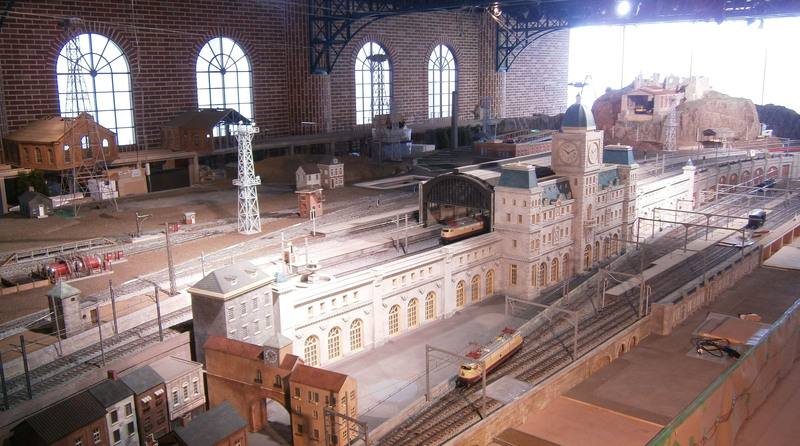 The Hara Model Railway Museum will officially open to the public on July 10 in Yokohama. The museum, which is operated by property developers Mitsui Fudosan, will exhibit 1,000 models from Hara’s collection. The location is fitting because 140 years ago, the port city of Yokohama was the site of the first railroad in Japan (it connected the city with Shimbashi Station in Tokyo). 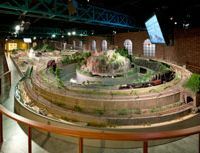 The highlight of the museum is a 310 sq.-meter diorama called “Ichiban Tetsumo Park,” which features a selection of working model trains including a 1940s Southern Pacific, a Fuji Minobu train from the late 1930s and other famous trains from around the world. 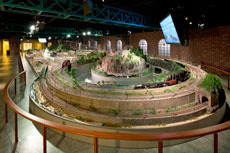 The “1 gauge” model, which has a track width of 45 mm, is one of the largest of its kind in the world. A carriage is about 80 cm long, so if it is seven cars long it will total 5.6 meters, which is big enough to truly appreciate the details as if it were an actual train. 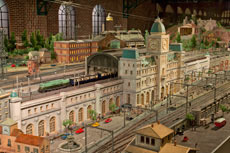 Hara was born in 1919 and made his first model train at the age of 13. 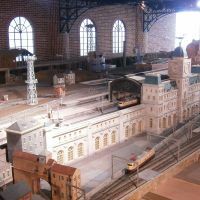 Although he had a successful career as an engineer he has continued to build and collect model trains all his life. Hara’s son, Kento, explained that his father has never forgotten the joys of being child and he hopes that this spirit will be conveyed in the museum. 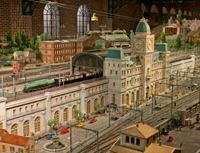 Hara Model Railway Museum will be open on the second floor of the Yokohama Mitsui Building from July 10 (11 a.m. till 6 p.m., closed Tuesday). Admission costs ¥1,000 for adults, ¥700 for junior high and high school students and ¥500 for children 4-years-old and up. For more information, visit www.hara-mrm.com/index.html.